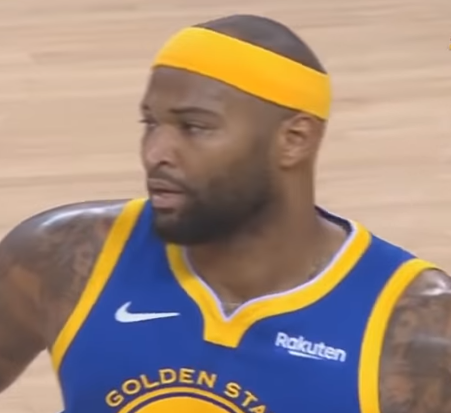 Golden State Warriors center DeMarcus Cousins was ejected from Sunday night's game against Charlotte for hitting Hornets center Willy Hernangomez in the face with a closed fist. It happened in the middle of a second period as Cousins and Hernangomez were positioning themselves for a potential rebound. Cousins first used his elbow to give himself some space, then threw his arm out like a clothesline, hitting Hernangomez in the face. The officials reviewed the play and gave Cousins a flagrant 2, resulting in an automatic ejection. Cousins' ejection hardly made a difference in the game as the Warriors blew out the Hornets 137-90.